Home news security smartphone Technology FBI director says smartphone encryption is "huge problem"
FBI director says smartphone encryption is "huge problem"
FBI director Christopher Wray says smartphone encryption is a "huge problem" for the agency's investigations. The data of more than 6,900 devices studied by the FBI in 11 months have thus remained inaccessible. We know since the standoff between Apple and the FBI after the killing of San Bernardino occurred late 2015 : the encryption of smartphones is far from the taste of the US intelligence agency. And the situation has visibly worsened in recent months, judging by the statements of Christopher Wray. This weekend, the director of the FBI took advantage of his intervention before the International Association of law enforcement officials to erect this protection of personal data as a real obstacle to the work of the agency. 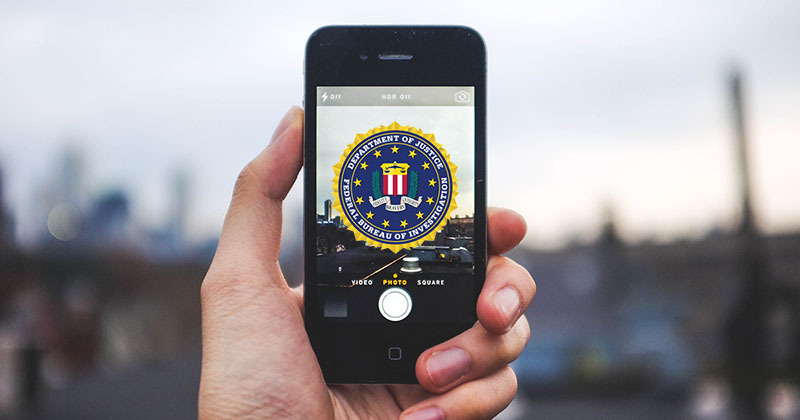 According to him, the FBI found itself unable to obtain data from more than 6,900 smartphones. That's more than half of the devices targeted by its investigators over 11 months. Christopher Wray lamented, " It's a euphemism, but it's a huge, huge problem. [Encryption] can be felt on any type of investigation - drugs, human trafficking, anti-terrorism, criminal groups, organized crime, child abuse . " However, the one who succeeded James Comey at the head of the FBI after his dismissal by Donald Trump remains aware that the protection of personal data of each remains a necessity: " I know, there is a balance to be found between the encryption and the importance of providing us with the tools necessary to ensure [ the safety of our citizens]. A difficult task without backdoors - backdoors that would challenge the overall security of encryption. In Europe, several politicians have expressed the same delicate balancing act about end-to-end encryption in secure messaging apps like WhatsApp. British Interior Minister Amber Rudd and French President Emmanuel Macron have demonstrated their lack of knowledge of the subject. If data encryption is built-in to some smartphones - like the iPhone , preventing Apple from accessing this information - it can also be done through external tools on devices that are not feature. In 2016, as part of its investigation into the killing of San Bernardino, the FBI tried to force Apple to unlock the iPhone 5C from one of the killers to access the encrypted data of his device. A request refused by the firm to the apple , which led the FBI to call on a third party to achieve its goal - without knowing more about the details of this unlock . For Alan Woodward, a professor at the University of Surrey and a cybersecurity expert quoted by the BBC , the FBI director deplores a state of affairs: " Encryption that thwarts investigations is now a concrete reality for the security forces. 'order. "